Year 10 offers students the opportunity to individualise their program. Students study English all year and complete one semester each of Australian Society and Human Relations. ​The remaining 10 semester units are chosen from a wide range of units covering all subject areas. 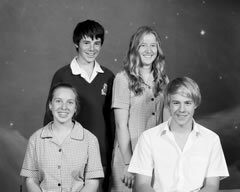 Year 10 students may also select to enrol in year 11 subjects to enhance their course. For specific subject information, download the Curriculum Booklet below.